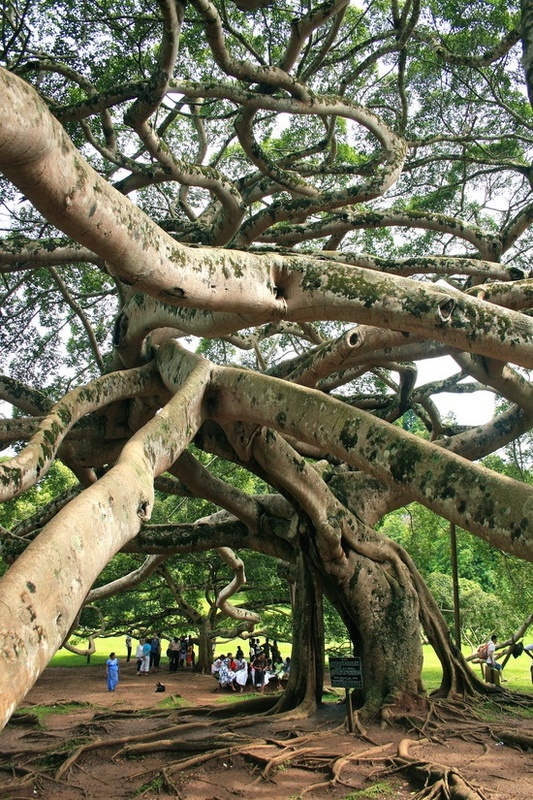 Royal Botanical Garden Peradeniya is situated about 5.5 km to the west from the city of Kandy in the Central Province of Sri Lanka and attracts 2 million visitors annually. It is renowned for its collection of a variety of orchids. It includes more than 4000 species of plants, including of orchids, spices, medicinal plants and palm trees. Attached to it is the National Herbarium. The total area of the botanical garden is 147 acres (0.59 km2), at 460 meters above sea level, and with a 200-day annual rainfall.